The new, redesigned R-Undelete wizard-style interface oriented more for beginners in data recovery meets the highest standards in the software development industry and makes the product an easy-to-use yet powerful and fast file undelete solution even for corrupt FAT, exFAT, NTFS and ReFS file systems. I accidentaly deleted my files. I`m not a tech guru. What should i do to get my files back? FREE R-Undelete Home version for HOME USERS! LIFETIME Upgrades! IT'S NOW FASTER & EASIER THAN EVER! To satisfy user demand, from now on we offer Free Lifetime Updates and Upgrades for all R-Undelete versions. Automatic pre-sorting of found files to the file type tabs and sorting files by their names, paths, sizes, or dates beside the file mask matching provides R-Undelete users with the most versatile and comprehensive file search possible. Not only can R-Undelete recover files, it can wipe them, that is, destroy their content in a way that no software (R-Undelete included) can recover it. Quite a useful feature for dealing with sensitive data. Disk scan is a deep analysis of disk data when recovering files from damaged file systems. Fast scanning algorithms incorporated into R-Undelete make this usually lengthy process much shorter because these algorithms are adapted for multi-core processing as well as optimize memory usage for large disk scanning. They are robust and prevent the program from freezing and crashing in critical situations. Raw file recovery (also known as search for Known File Types) is a file recovery method that uses file signatures to find and identify various file types. It may be the last option when a file system on the disk is severely damaged. R-Undelete can search for a vast number of already defined file types. One of the main rules for file recovery - write to the disk with lost files as least often as possible. R-Undelete can be installed on a portable USB device rather than a system disk where the lost files may have resided. 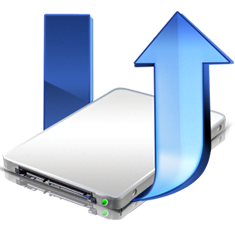 Disk Imaging is an indispensable feature for file recovery from failing drives. If a hard drive shows symptoms of hardware malfunction, it should be immediately imaged and all data recovery actions should be made using this image. Moreover, R-Undelete images are fully compatible with R-Studio, our widely used professional data recovery software. If necessary, these images can be delivered to a professional data recovery service, and they can use them as if it was a real disk. The cutting-edge file viewer supports a wide range of file formats including Adobe Acrobat pdf, Microsoft Office documents doc, xls, ppt (Office 97-2003), docx, xlsx, pptx, graphic files ( see the list ), video and audio files (all files are supported if the proper codec is installed on the system) and allows the user to view the contents of a deleted file before it is recovered. From deleted, damaged, formatted disks, or even more, from partitions with unsupported file systems. R-Undelete scans hard drives to find those disks and partitions. If the previous partitions are very severely damaged, R-Undelete can find files using raw file search, that is, by searching for file signatures. Free R-UNDELETE version for Home Users recovers files from external USB disks, digital photo and video camera memory cards and other storage devices with the FAT (FAT12, FAT16, FAT32, and exFAT) file system. R-Undelete Home is ideal freeware for recovery lost digital photos, movies, and music files that are usually stored on devices with the FAT file system (read the article Photo Recovery for more details). Lost files search on the NTFS and ReFS file systems is fully functional for files under 256KB in size. It's a powerful file undelete solution with a neat wizard-style interface for Windows OS users to recover files even from damaged and/or deleted partitions on the same level as the highly rated R-Studio with the exception of some special data recovery features like damaged RAID reconstruction, Hex editing and recovery over Network. In addition to the free Home version functionality, R-UNDELETE recovers lost files from NTFS, NTFS5 (created or updated by Win2000/XP/2003/Vista/2008/2012/2016/2019/Win7/Win8/Win10) and ReFS/ReFS2+ (Resilient File System, Windows 2012/2016/2019 Server) disks. If for any reason you would like to switch the R-UNDELETE license to our professional data recovery tool R-STUDIO, you can upgrade it to R-STUDIO for the initial price difference.